This item replaces item ACC840602-XP. A complete kit for upgrading or replacing the intake on your Rena or API Filstar Filter. This kit fits all models including the original Rena Filstar XP and the new API Filstar series of external canister power filters. The kit contents include both the inlet extensions (x2) plus an intake strainer. Use this kit to replace worn, broken or lost parts or to extend your intake deeper into the tank if necessary. 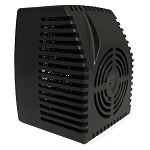 Especially useful for aquariums housing turtles or aquarium environment with lower water levels such as "river tanks". 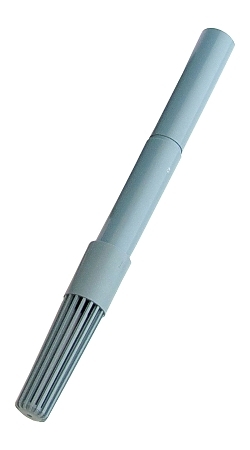 This can also be used to extend the discharge deeper into the tank and used with the "intake strainer". The discharge back into the tank will be diffused and aerated. This works much better with the new inlet/outlet parts included with the new API Filstar. Q: why don't they make a longer one piece intake tube? My fish are always knocking the sections apart.....it's really a pain........I would love to have a long one piece with strainer on the end, but I can't find such an item anywhere. A: The Intake system is designed for maximum flexibility due to the wide range of setups and species using this filter. They range from commercial aquariums to home users and turtles to large game fish. You can easily use some silicone sealant (glue) to hold the pieces together and keep larger fish from loosening them and causing air leaks. The reason we recommend that type glue is it can be undone easily and is safe for whatever is in the tank once it drys. Q: my rena filter has none or almost no suction, where the in take is. how do I fix it? does it mean it has to be clogged somewhere, or is it the motor? please help!!!! A: Filters lose suction for a variety of reasons most of which are caused by an air leak on the intake side of the filter. This can happen at any place where air can leak into the system while it is trying to pump. From your description it sounds like over a period of time more air leaked into the system and now the water level in the canister is probably below the rotor impeller area and the rotor impeller has no water to pump. You should contact the place where you purchased the filter or contact the manufacturer Mars Fishcare API at 800-847-0659 for help with the problem.